Cost Savings – The U.S. dollar has averaged 25% higher than the Canadian dollar for five consecutive years, and with a country wide commitment to making it even stronger, return on investment is maximized when setting up shop in Canada. Additionally, according to the most recent OECD data, Canada ranks 2nd after Korea for population with the highest level of tertiary education. This means over 60% of Canadians above the age of 25 have completed some sort of post-secondary education (OECD , 2018). Therefore, this highly skilled work force can further enhance quality service and customer experience at a reduced cost. 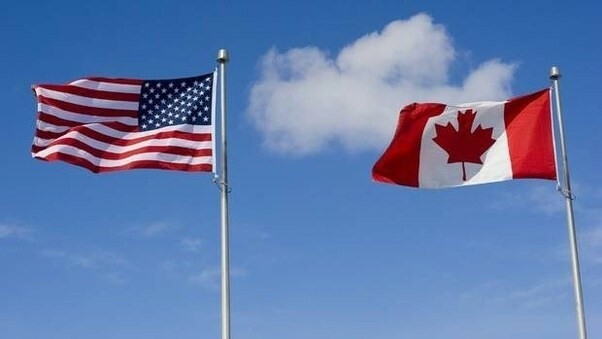 Cultural Similarities – Canadians and Americans are not identical, but do share many of the same North American philosophies, such as foods, sports, music, movies, television and language, so conversing comes naturally. Also, strong accent barriers that can be a frustration for customers are avoided. Conversely, Canada has a very culturally diverse population with a wide array of languages spoken which is advantageous in a contact center environment. Geographic Closeness – Occasional travel is necessary at times for training, audits and site visits. With Canada and the U.S. sharing a border and most major Canadian cities being located within one hundred miles of the border, travel to Canada is less demanding than flying overseas, and may even be quicker than traveling within America. Time Zone Likeness – Having dedicated care agents, support, management, IT and all areas of business able to work seamlessly, and at peak productivity across the same geographic time zones increases customer reach while maintaining critical touch points with the outsource provider. Nearshoring to Canada offers complete time zone coverage without the sacrifice. With all the benefits it’s no wonder Canada continues to be a popular nearshore outsourcing destination for America. Nevertheless, whether you choose to offshore or nearshore, it is critical to partner with an outsource provider that is nimble and willing to tailor a program specifically suited to your unique business objectives and budget.